ST. JOHN’S CONSERVATORY THEATER is a non-profit company of actors, artisans, and artists. 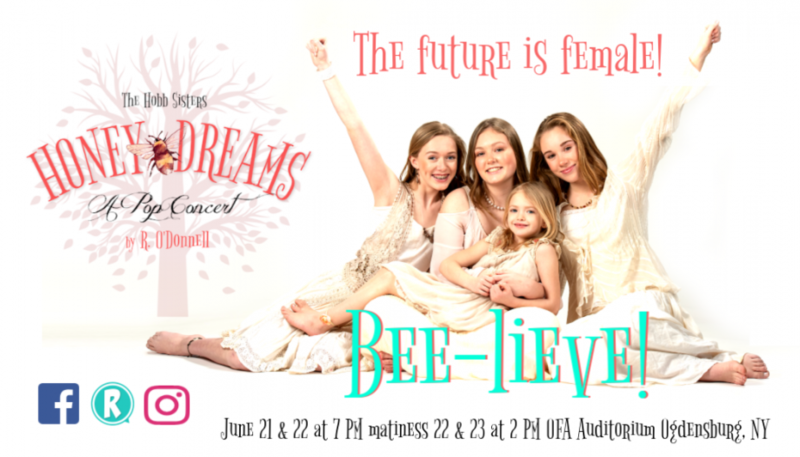 It is our vision to create educational, inspirational, and professional opportunities for local talent of all ages while presenting original musicals. SJCT offers the Ogdensburg community two seasonal (Summer and Fall) all-original musicals. SJCT productions are fully staged, costumed, and orchestrated (the cast sing to a studio produced score) and include a book (story and dialogue), music and lyrics written by R. O’Donnell. Nowhere else in the United States is there a professional regional theatre company that produces all-original musicals. SJCT principal creative staff includes Producing Artistic Director R. O’Donnell, Musical Director and Choreographer Angela Conzone Dwyer, Arrangements and Digital Orchestrator Ryan C. McNally, Props Designer Stephen Chambers, Costume and Makeup Designer Karen Fischbeck, Senior Costumer Heron Hetzler, and Technical Director and Production Coordinator Christopher Dwyer.